“The last field trip is the one everyone looks forward to,” said Plucer-Rosario. Plucer-Rosario has lived and taught on Guam since she arrived there decades ago to study corals at the University of Guam. She has taught for UMUC since 1984 and is now one of five full-time collegiate faculty and several adjunct faculty who teach at the Navy base on the southern end of the island and the Air Force base at the northern end. At UMUC, her experience is unusual but hardly unique. While most UMUC students take their classes online, the U.S. Department of Defense also contracts with the university to teach courses face-to-face on military bases around the world. Every term, hundreds of faculty members continue a UMUC tradition that dates to the late 1940s, relocating as needed to bring a college education to servicemembers. A documentary that follows UMUC’s seven-decade mission of educating military personnel stationed overseas aired in April on Maryland Public Television. Brian East and his wife, Kathy So, are veterans of the nomadic lifestyle. Born in Atlanta, East earned his undergraduate degree from Georgia State University and his Ph.D. from Auburn University. He taught English as a second language in Korea from 2001 to 2003, then returned home to Atlanta to teach at Georgia Gwinnett College. While there, he met and married his wife, who was born in Korea but grew up in Georgia. The life of traveling faculty members appealed to the couple. In the space of three years, they have taught in Korea (twice), on Okinawa (twice), and in Germany in Stuttgart, at Panzer Kaserne, and in Bavaria. Their daughter, Evelyn Hana, now two and a half travels with them. Charles Salinas, the faculty coordinator for South Korea, is equally comfortable on the road and knows his way around the peninsula. A social personality psychologist by training, he earned his Ph.D. from the University of California, Riverside, then went to teach at the American University in Bulgaria just after the fall of communism. But after teaching at California State in Long Beach and following his wife to the University of Alaska, Southeast, in Juneau, the two decided to try something different and headed to Korea to teach for UMUC. The faculty experience now is different than it was in the early days of UMUC’s Europe and Asia divisions when communication and logistics often presented significant challenges. Now, modern technology offers greater flexibility even as it pushes faculty to reevaluate their classroom strategies. He began to experiment with assigning basic exercises as homework and reserving the more challenging and interesting tasks for the classroom. Technology also allows faculty to serve remote sites that might otherwise remain inaccessible. With rapid technological advances in Korea and across much of Asia, fiber now connects all the military bases and internet connections are very fast, allowing faculty to put teleconferencing technology to use in the classroom. 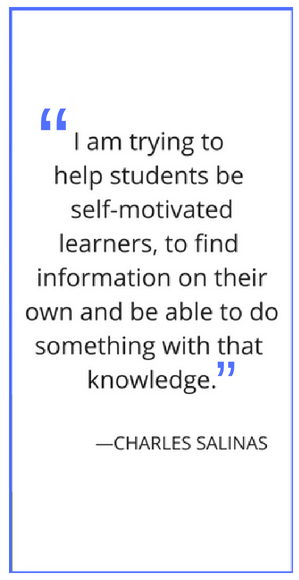 Salinas also travels to the remote sites several times each year to meet students in person while streaming those classes back to his home site. Certain challenges remain, however, despite advances in technology. saber rattling by North Korea has put American troops on high alert, which means less time for classes, and some eight-week terms have been shortened to seven weeks or even six. Greg Evans—the first faculty member in UMUC’s MBA program in Europe—agrees, seeing himself as a pioneer not unlike the first faculty members sent to teach in post-war Germany some 70 years ago. Teaching is a second career for Evans, who had worked in and around Chicago for everything from small dot-coms to Fortune 50 companies. After earning an MBA from DePaul University, he taught part-time for as many as seven universities. When UMUC won the contract to offer an MBA program in Europe five years ago, Evans became the first full-time faculty member. The program was structured on UMUC’s new project-based learning model, which is typical of most MBA programs, and although the program is offered in a hybrid format, combining online and face-to-face instruction, Evans spends most weekends traveling across Europe, meeting with students on Saturdays and Sundays from 8 a.m. until 5 p.m.
Evans lives in Kaiserslautern, but teaching assignments regularly take him to Ramstein, Wiesbaden, Spangdahlem, Stuttgart, Grafenwoehr, and Vilsek in Germany; to Royal Air Force bases in the United Kingdom; to U.S. bases in Italy; and downrange in Bahrain. Typically, he teaches two six-credit classes each term—then turns around and does it again for another 11 weeks. “The goal is to have different instructors for all the MBA classes, to give the students different business perspectives,” he said. And he is no longer the lone faculty member in the program. Now, nine full-time and several adjunct faculty support the growing program. The Spring 2018 edition of Achiever Magazine is available here.